Bio: Fancy the cat was rescued from a life on the streets. 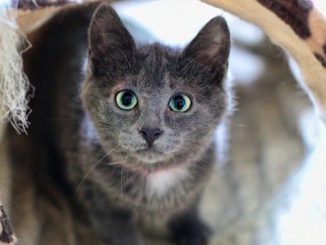 When she first arrived at the shelter she was absolutely terrified, feisty, extremely hissy and defensive who would lash out with her paws, as she did not trust people at all. She even had the nick name of “Hissy” for the first part of her journey in learning to trust people. Thanks to the persistence of NTCR volunteers, Fancy has come a long way and now trusts people who have a slow approach. She still exhibits moments of “catitude” where she is guarded in that when she feels insecure will give you a single swat but progresses each day in turning that defensive mechanism off. When you enter her room she will approach you but always stays arms lengths away, but she there is, just wanting to be loved waiting for the right approach. She is learning and the majority of the time she will happily accept and enjoy being petted and stroked. 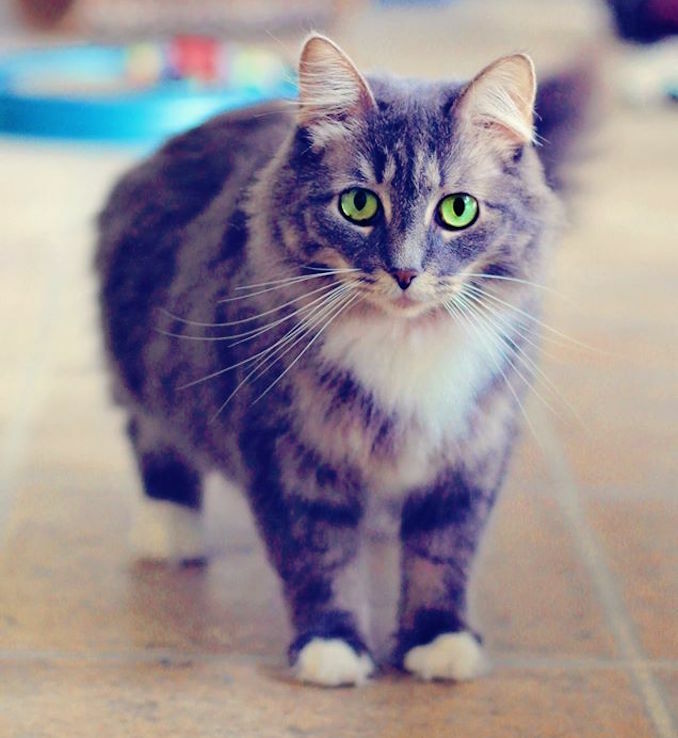 Fancy is a beautiful long haired grey & white tabby with adorable little white paws, stunning green eyes and a unique purrsonality. 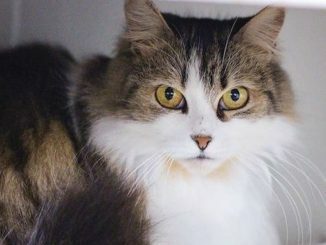 She is good with other cats but would do best in a mature adult home with an owner who understands her need to feel secure and the patience to help her on her final steps towards becoming the confident loving cat she is meant to be. 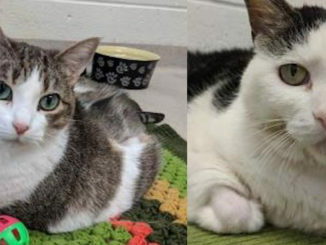 If you are willing to work with Fancy the cat to help her blossom into the people loving cat she wants to be and give her the “furever” home she deserves , please fill out an adoption application and contact NTCR.